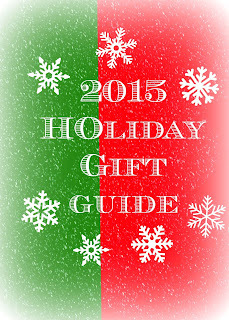 We have seen quite a few posts in the holiday gift guide so far. I have to say though the next 3 days happen to be my favorite. As a reader I can't get enough books into my house. I read, so of course it is something my boys have come to love too. Some nights we stay up way past bedtime lost in a good book. You can never know to much and each time we pick up a book we learn something new. Speaking of learning my kids ADORE the Smithsonian kids books and fact cards. They are filled with fun facts and every page/card my boys learn something new. This year Smithsonian is offer several new books and fact card packs. I was lucky enough to review a few. With two little boys I am sure you know we have our fair share of Dinosaur toys. My boys love not only playing with them, but also learning about them. This books gives kids a glimpse into the time of the dinosaurs and how they lived. Not only that but the book includes activities, reusable stickers, 3D stickers and even a framed play scenes. I even learned a thing or two. This is so much more than a book. We also reviewed a Under the Sea Sticker Creations books. Again this books was filled with facts, stickers and fun activities. I love the bright colors and the beautiful illustrations. Next up was the Discover: Earth Book. This book includes a 2 sided poster, 12 fact cards and a 3-D globe to build. My oldest is in 2nd grade, right now he is learning about the USA and where we live. My son was so excited to find out just how big the world really is. He wants to learn everything he can. So this books was a huge hit with him. He couldn't get over the fact that "Earth" was only one of the planets, he didn't know there was more!! In this book we get to take a trip around the world and visit the unique animals of the Rainforest, the aurora borealis at the North Pole, the deep sea, the Earth Core and so much more. It shows kids parts of the Earth they were never before able to see. It even talked about natural disasters. There is so many facts and fun things in this book we read it several times and still love it. So far my boys were in awe of all the things we reviewed. We weren't done yet. Last we got to review 2 sets of fact cards. My youngest is in Preschool and my oldest is in 2nd so I loved that these were age cards. One set for Quinn and one for Brandon. Developed with curators of the Smithsonain Institution they are everything you need to know for your grade level. They are created to adhere with national educational standards. The have vivid photos, clear information and fascination facts that will keep kids engaged and engrossed in what they are reading and seeing. And the facts are definitely age appropriate. Quinn's facts were perfect for someone who is soon going to be 5, while Brandon's were more advance and something a 2nd grade would love. As I said before these are only a few of the items being offered from the Smithsonian company for kids. They have so much more. If your kids love learning as much as my boys do you need to check out all their other items. Not only are these books great for fun time, but I can so see us referencing them in a future school project.